the 18th week stiitch is wave stitch,it appears similar to cloudfilling , which was also in this challenge. Then went on to see how this stitch will look shaded. 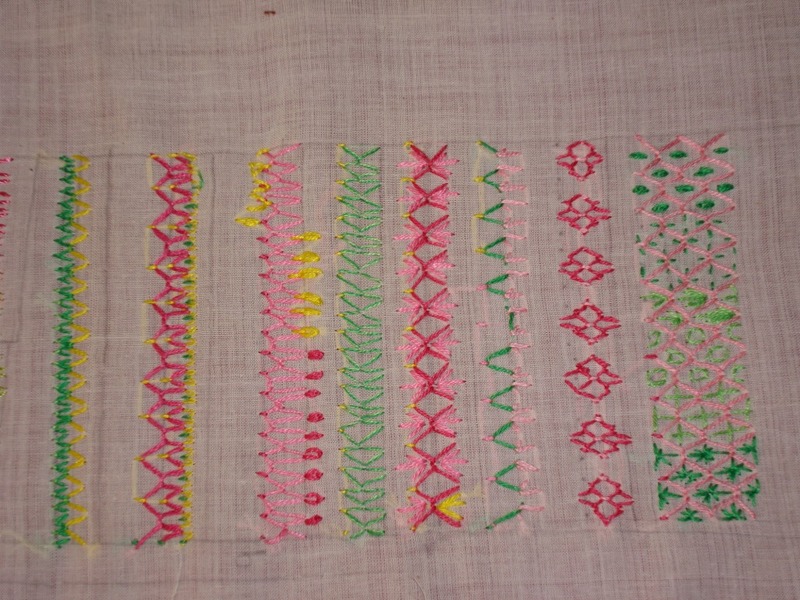 On this row I started with single strand of cotton skein, and kept adding more thickness ,while I went down. 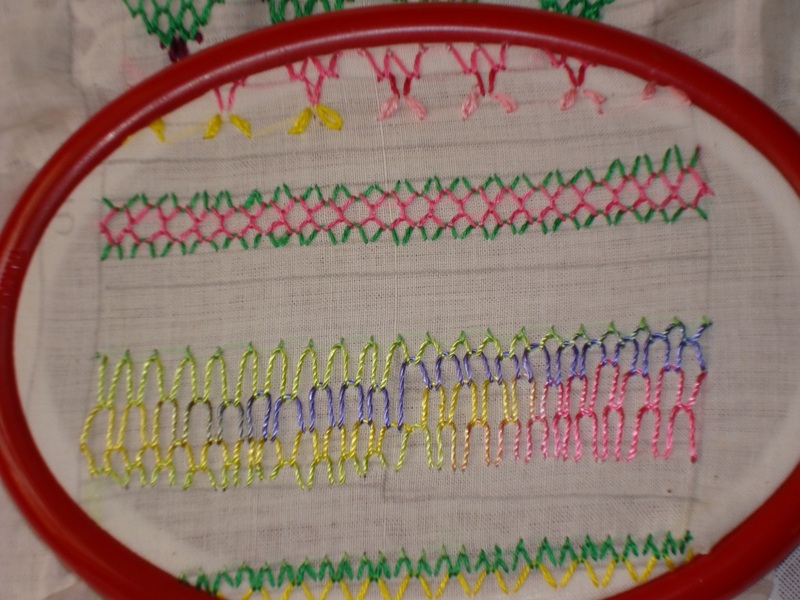 Now In this ,the 1st line was normal, but I made the stitch on the 2nd line short and long. 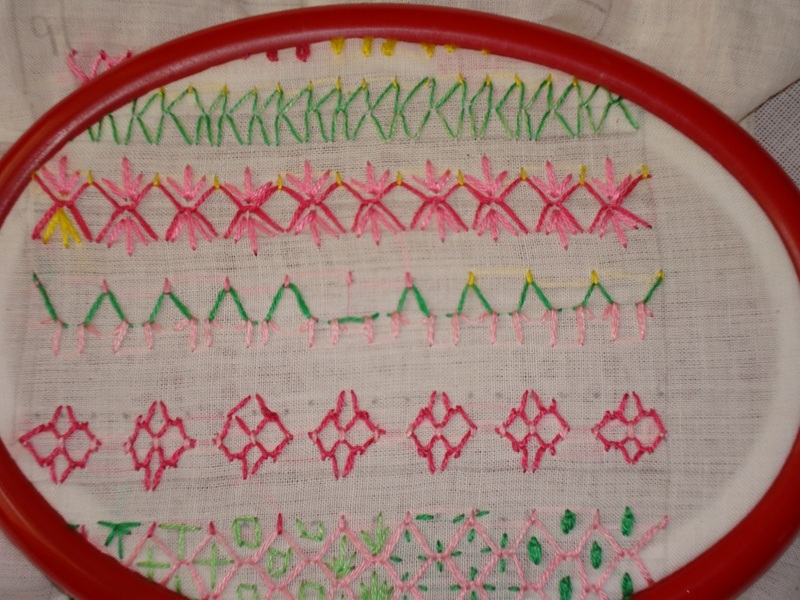 I tried making some pattern with this stitch and detached chain stitches. 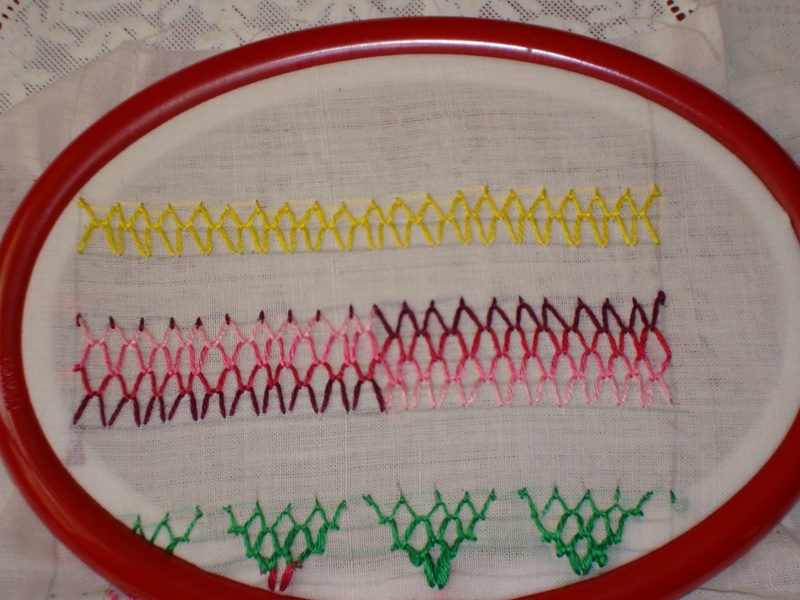 To form this row, 2 lines of this stitch is made with space inbetween.Then a small straight st is added there,to work the pink thread.now 2 lines of this stitch again. I got the inspiration from sample done on the flickr galery of this challenge.She had done this stitch in free form, -first I decreased the height of the stitches on the subsequent lines and on the right side, I increased the height of the stitches. 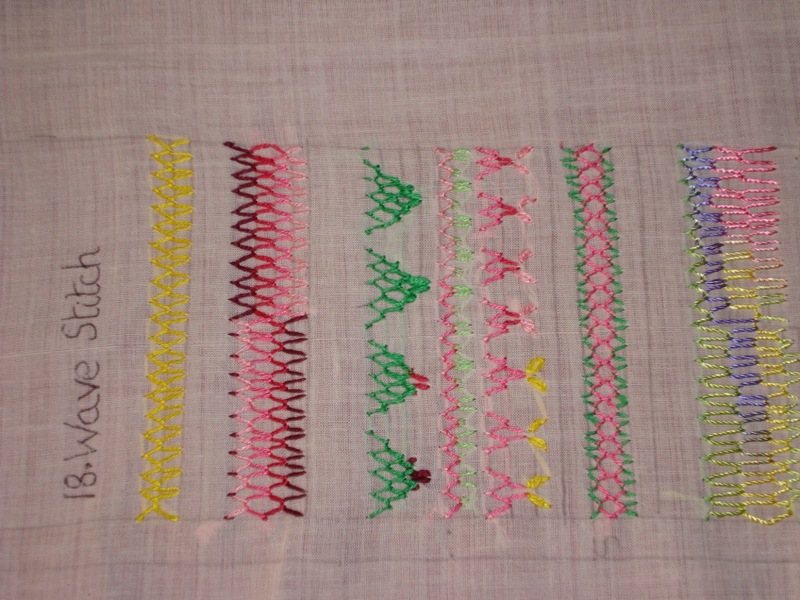 In this row I decreased the number of stitches to half on the second line. 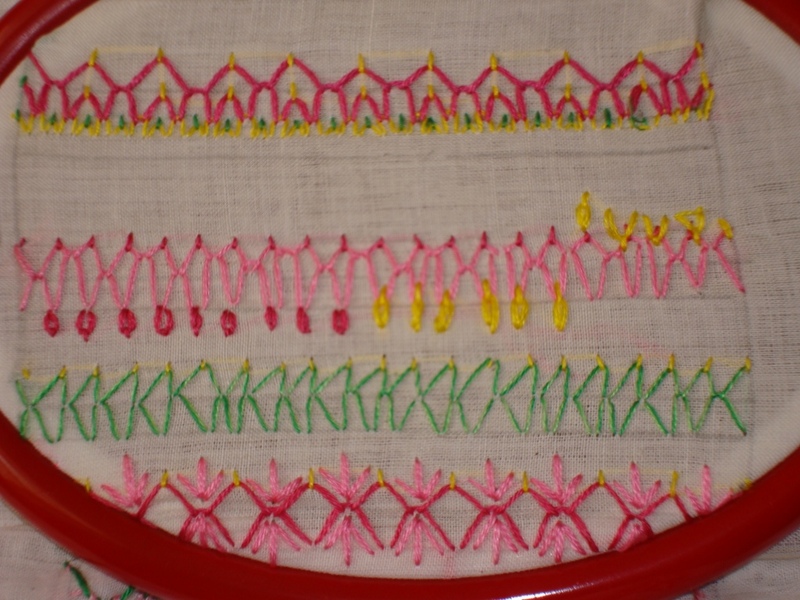 Now, I increased the numder of stitches on the subsequent lines. I tried varying the height of the stitches on the second line, As you can’t say it is pretty, I added some detached chain. Instead of moving as a wave on the 1st line,I did one stitch straight and the next stitch slant.I followed this pattern on the second line too. 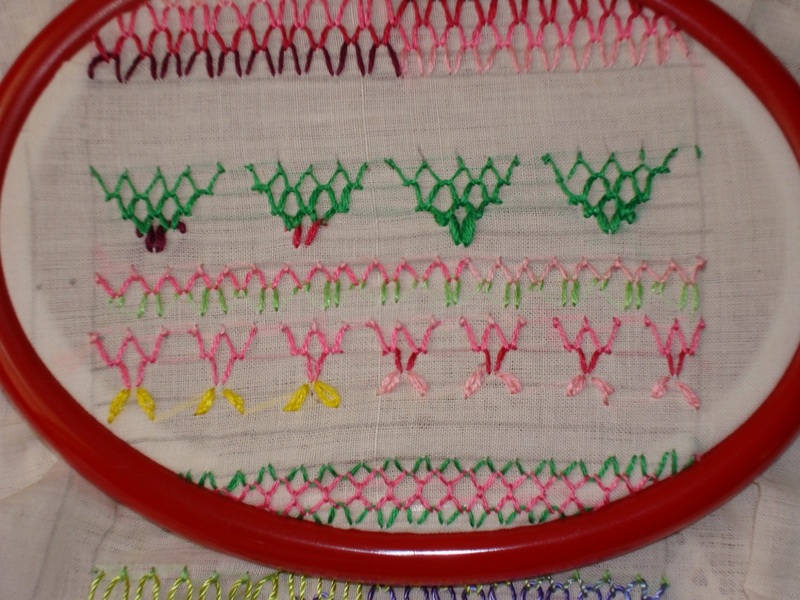 On this row fly stitches are added to the valleys made by wave stitch. I wanted to do some diamond patterns with this stitch. 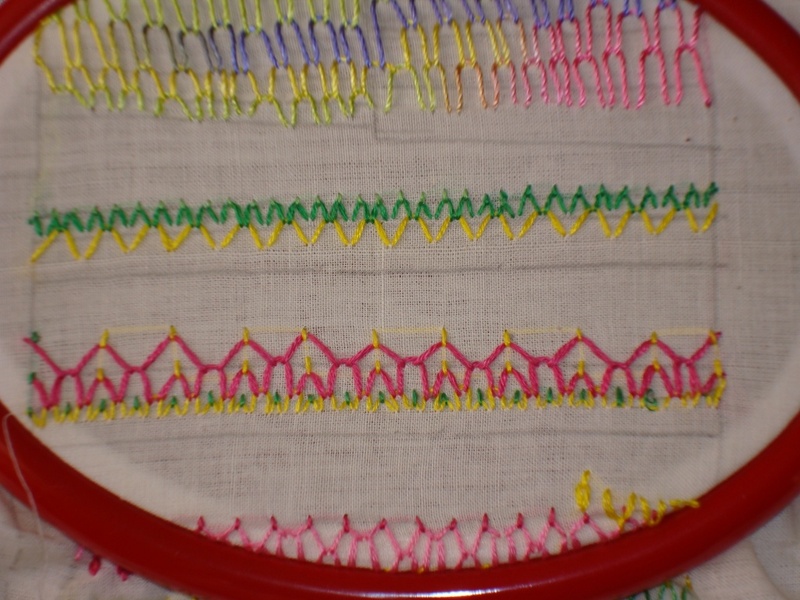 Now I shouted ‘ENOUGH’ and did a row of what this stitch is meant for- filling stitch. Added some fly stitches,upright crosses, small squares, straight stitches,detached chain on the free spaces. 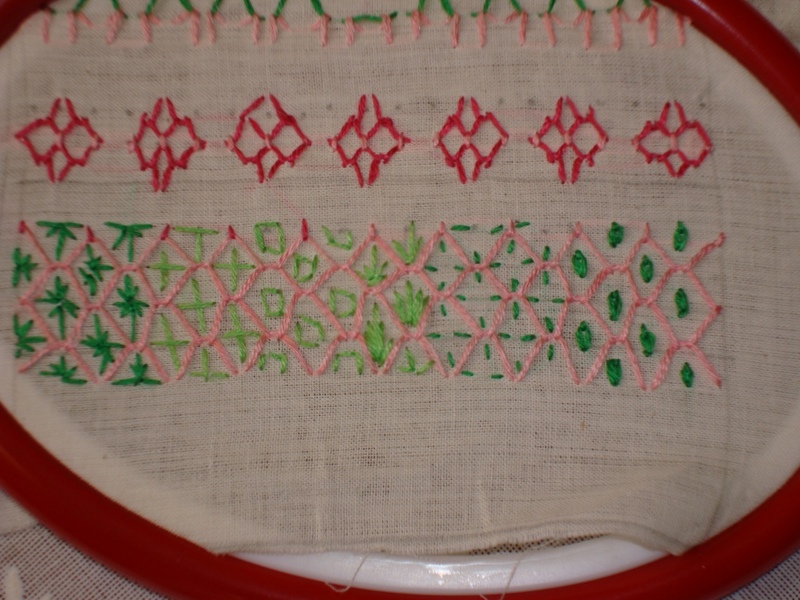 Though I have done a few trials of this stitch,The actual working of the stitch is not very perfect., A marked fabric would have helped, maybe. This journey is quite long.